Alongside our artist residencies, which we have been running for several years, in 2019 we will be offering further residencies to support changemakers. These funded residencies are open to individuals or organisations who are working to transform the world into a more beautiful and sustainable place. 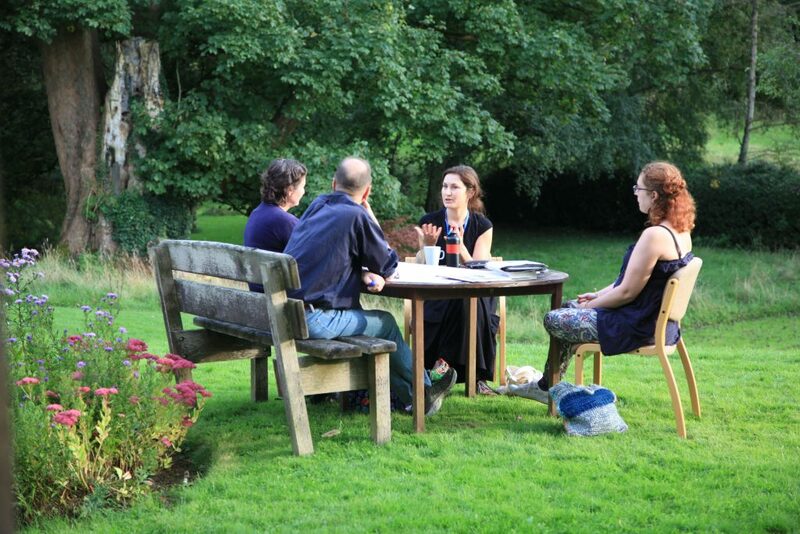 By supporting changemakers, Hawkwood aims to inspire and facilitate activism, social and ecological justice, system reorganisation, and new ways of thinking and being, in order to catalyse positive change for the future. The solutions to the societal, cultural and environmental challenges we face are bound to come from outrageous thinkers. Our residencies offer a period of creative incubation, where change makers can focus entirely on the creative process away from the demands of everyday life within a held and relaxing environment. The applicant can use the residency for his or her own purposes according to their creative discipline and project. In 2018 we launched our crowdfunding campaign #LostPicasso to help fund our residencies. This was completed in just 32 days and raised £7,027, plus another £5,000 through the Arts Council. A big thank you to our 148 supporters, we are very grateful for your sponsorship. If you would like to help us continue our efforts towards creating real change, through social justice, environmental activism and innovation, we would love to hear from you. Change-makers are provided with full bed and board and a working space. If appropriate, we offer the opportunity to showcase work as part of our events programme, and we can host informal exhibitions. Walking around the grounds will reveal all kinds of interesting secrets, from pumpkins and figs in the garden to the fresh natural spring (taste the water!) and giant sycamore tree. 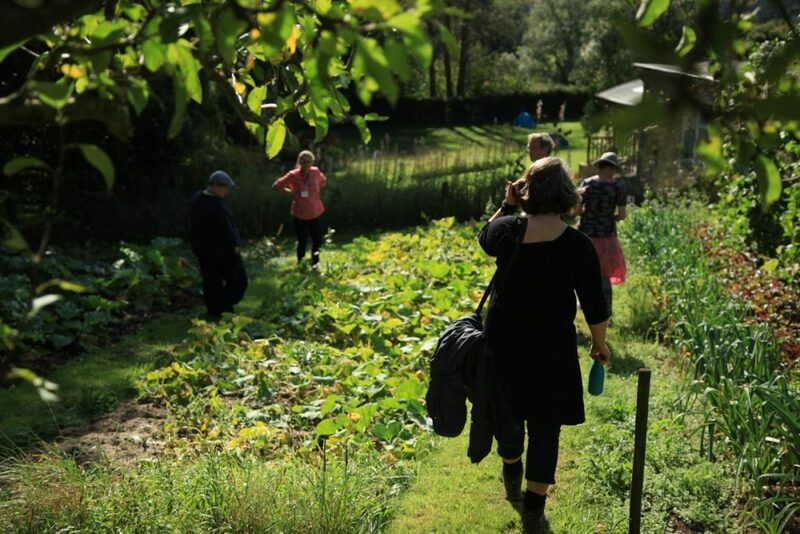 We have a huge range of creative and inspiring events: focus on movement and creativity with yoga or an art workshop, get involved in social change, reconnect with nature, learn about emotional healing and presencing, or join us for a poetry, storytelling, theatre work, classical music, woodwork, blacksmithing or for an embroidery course. Any information given will be used only to support Hawkwood's diversity and equal opportunities policy and in accordance with the principles of the Data Protection Act 1998. The information will be entered on a computer in Hawkwood and will be kept strictly confidential and separate from your name and your application. Ethnicity and age are only required for monitoring purposes. It is not part of the selection process. The information you give will be retained only for statistical purposes and is anonymous. Our residencies normally take place from Monday to Friday. Please let us know when you wish your residency to take place, please list multiple options. We ask that all our changemakers in residence write a short (250 words approx.) blog during or after their residency, providing information about themselves, describing their experiences at Hawkwood, what they were working on, etc. This is only a suggestion, we would also be happy to accept images, video, audio recordings, voice notes, work in progress or completed work, or anything else! This is a space to showcase your creativity. Please confirm that you are willing to contribute to the Hawkwood Residencies Blog, and are happy to be contacted after your residency with regards to this. Please provide a short statement on your financial situation regarding why you could not afford to cover the costs of a residency yourself (which equates to £120 per 24 hours, bed and board). Please also sign the financial statement below.